Magazine Stories wanted | Sell your story to your favourite magazine. Love rats – did your husband or partner leave you for another woman? There are many women’s magazines seeking your personal stories but with our links to the popular newspapers we may also be able to place your story in a national newspaper. 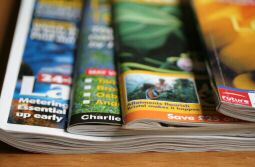 Your story could be printed in more than one magazine. After your story has appeared in a women’s magazine, we can often place it with national televison or even abroad. See which magazines and newspaper we sell your story to here: Press Agency clients.